The fact that nature doesn’t know boundaries, counts as a cliché. This applies particularly to Drava region where the river and the country border intersect a dozen times between Hungary and Croatia. Old Drava oxbow near Barcs is also located on both sides of the border. 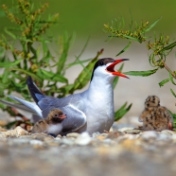 It is protected in both countries and it is also part of Transboundary Biosphere Reserve Mura-Drava-Danube. 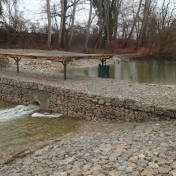 Construction work of the water retention structure on the Old Drava oxbow lake has been completed. The bottom weir with embedded lockable culvert and an apron-protection against erosion was finalized. 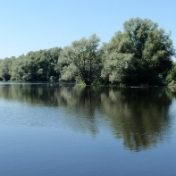 The longest left-side of Drava is the Old-Drava oxbow near Barcs and Kriznica that is home for species like Ferrugineous Duck and Little Bittern. Due to the improper water supply of the oxbow the status of its surrounding habitats has degraded in the previous decades. 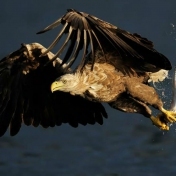 The cooperation of Croatian and Hungarian partners started four years ago for improving the ecological status. The field work started in the autumn 2018 and the expected result is that the average water level in Old-Drava will be 1 meter higher. After long preparatory works the permission processes the field works on Old-Drava finally started at the 29th October 2018. The water retention artefact will be at the site named Black creek that is the lower stretch of the oxbow and which function will be to increase the water level and stabilize it. The survey of the biological status of the Old-Drava brought new results in 2017. There are species and habitats of European significance in the oxbow and along it, which are traced regularly during the monitoring. These annual surveys give a unique and comprehensive picture of the Old-Drava, for which there was no opportunity before. 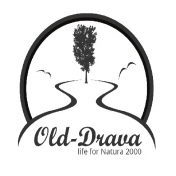 The boat that implements the dredging was released on Old Drava in the beginning of March and the fieldwork could start within the frame of Old Drava LIFE project. The material of the river-bed has been extracted from a 500 metre long area. 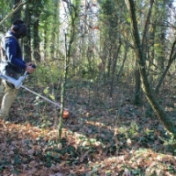 The biological survey of the Old-Dráva continued in 2016. 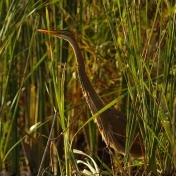 Since both species and habitats of European significance are present in the oxbow lake and on its shores, every survey provides valuable results. 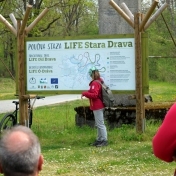 One of the key elements of our project is to map out why Old-Drava oxbow is important for locals, to whom it is unique and why it is useful or precious. 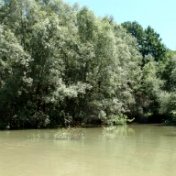 In order to find it out, we have organized four meetings with the participation of nearby residents, anglers frequenting the Old-Drava, foresters, fishermen, nature protection and border control officials, hunters, farmers, researchers and others concerned with the oxbow due to their official tasks. Info Day of the LIFE program was held in Croatia In Zagreb on March 21st, organized by the Ministry of Environment and Energy, and the National Contact Point for the LIFE program. The new WWF Magazine edited within the framework of the project is out now. 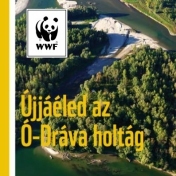 The booklet gives a broad perspective of the partners' work for a better water supply of the oxbow, and for the improvement of the quality of the gallery forests along the water; and describes their results achieved so far. The project’s goals, activities and results are now available in a colourful Old-Drava leaflet that was created in Hungarian, Croatian and English. The ecological baseline research on Old-Drava finished in the autumn 2015. 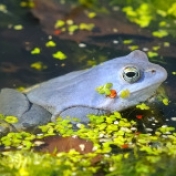 The final report of the status of flora and fauna is now available. This was the most detailed assessment of the Old-Drava so far. 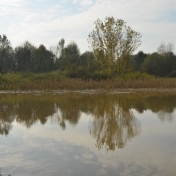 Renewal of the forest crop began in the floodplain forest along the Old-Drava. In previous years and decades, there were several plantations in the field, however, inappropriate species were planted quiet often. Surveys of the habitats, terrestrial and aquatic fauna of the Old Drava were conducted in 2015 during spring and summer. 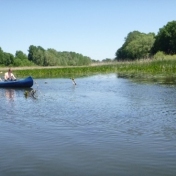 Groups of researchers familiar with the Drava and wetland ecology carried out the analyses along the 17-km-long oxbow. 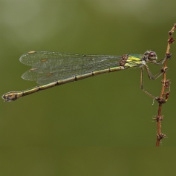 The diversity of habitats along the meandering Old-Drava was well presented by the fact that 17 habitat types were registered within the only 80 allocated habitat patches. The first official visit of the LIFE monitoring team took place this February int he visitor center of the Danube-Drava National Park Directorate. We reported about the partners’ activities, and about the upcoming activities. The visit was accompanied by a field visit, where the project partners and the colleague of the monitoring team visited the Old-Drava.